These beliefs drive how we treat our amazing clients and grow client revenues. Some agencies report on traffic, and rankings. We focus instead on revenue because at the end of the day it's the only thing that will pay your bills. We work in a holistic manner to increase your site's traffic, conversion rates, and average order value because they drive revenue growth. We strive to be the most ethical digital marketing agency in cycling and would love to share our references with you to prove it. If we make a mistake that impacts your revenues, we will promptly let you know about our mistake, and the credit we'll be making to your account due to the error. Whether it is building the internal processes that drive our agency or building our bike ecommerce products, we use innovation to help you grow revenues at your competition's expense. We stretch ecommerce platforms to the limit of what's possible to make you money. Our focus on continuous improvement increased client online revenue 61% last year. We accomplish this by both putting search marketing best practices in place and by removing stratagies and tactics that might be buzz words, but don't drive client revenue. We pick up when you call. We work in the bike industry because our founder had over 20 years of bike retail experience and we love bike shops. We also love our monthly strategy meetings where we discuss what's working in your shop, and plan efforts over the next 30 days. This close partnership is what sets us apart from other agencies working in the bike industry. We work hard to reduce friction to suuccess in all that we do. Whether it is improving the user experience on your website so that more people decide to buy, or communicating with you in your preferred manner, or utilizing automations to reduce the work that you do to succeed, we remove roadblocks and bottlenecks as much as possible. 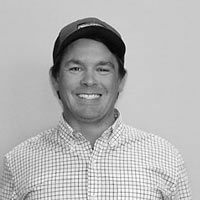 I am a digital marketer, thought leader and speaker with a 25 year history of working in the bike industry. I've worn every hat in the shop: I've provided customer service, wrenched on rental bikes (even serving as the service manager for a brief time using Sheldonbrown.com to fix old french 3-speeds), worked as the sales and marketing manager, and was lucky to be the General Manager at Young's Bicycle Shop on Nantucket Island - my favorite 86 year old and 3rd generation family owned and operated bike shop for 7.5 years! Working at an e-commerce platform was a godsend because it allowed me to work with some of the most respected bike shops in the country. They often gave me the freedom to perform SEO techniques that helped them grow sales in a very big way. I integrated Google Analytics, Google Search Console, Google My Business, and a number of SEO tools to manage client websites in a way that had not been done before and the results were large growth for our clients.